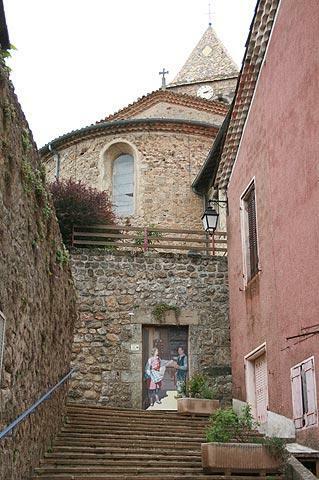 Meyras is a village situated about 20 kilometres north-west of Aubenas, in the heart of the Natural Regional Parc of the Monts d'Ardeche. 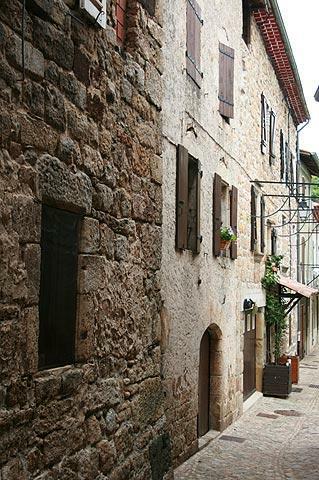 It is officially listed as one of the 'Ardèche villages of character'. The village can trace its history over many thousands of years, and it is known that prehistoric man lived in the place where you can now see the castle. During the Roman period there was also an important Roman villa and temple in the same position. Exploring Meyras is very straightforward - the village centres around the roman style Church of Saint-Etienne - and it seemed that every path I followed seemed to end up back at the church. 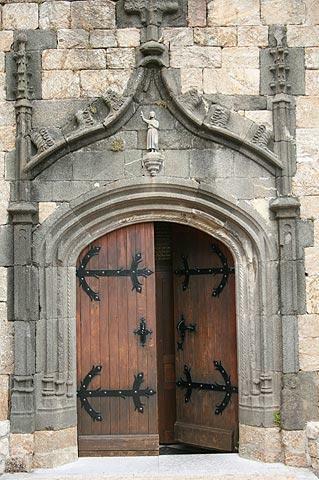 The church itself has a 12th century belltower and a decorative entrance doorway. More renovated than some of the villages in the region, although small it is a pleasant and calm place to amble around admiring the traditional architecture. The Rue Grande contains many of the most interesting historic buildings. 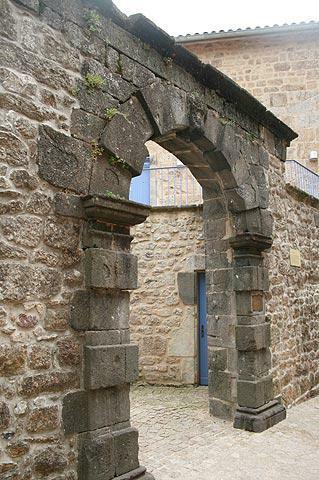 There are useful information signs on many of the buildings explaining their origins - for example you will see a large stone block above an entranceway that was once a lintel in one of the three chateaux that stood in Meyras several hundred years ago (now all gone). 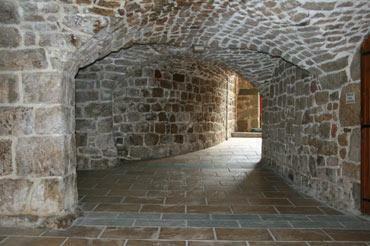 Another unusual feature in Meyras is the vaulted passageway called the 'salle des voutes'. 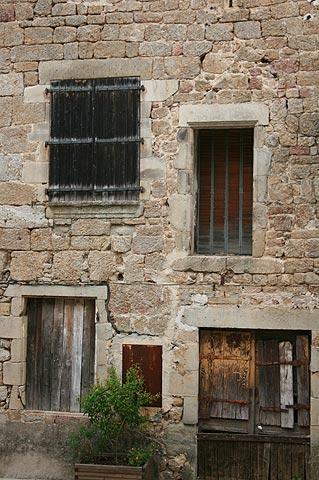 During your visit to the centre of the village you will also notice several 'trompe l'oeil' paintings on the walls and in old doorways depicting life in the village a century ago. The medieval Chateau de Ventadour that stands high above the confluence of the rivers Ardeche and Fontoliere was built and modified over a period of several hundred years starting from the 11th century, so various different architectural styles can be see. You can still see the imposing walls, castle keep, towers and fortified walls despite the locals using the castle as a source of building materials after the French revolution. As a result Chateau de Ventadour had been falling to ruin during several centuries when a group of enthusiasts decide to save, and partially rebuild, the castle. The work continues, as it has for the last 30 years, and visits to the castle are now possible (July and August only, monday to friday 9-12 and 2-7, weekends 3-7, entrance three euros). 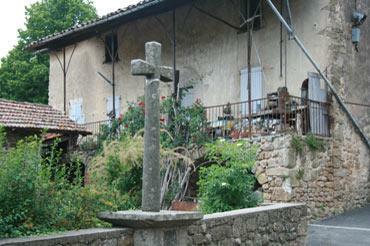 Although Meyras does not have a tourist office you can find more information in the tourist office at Neyrac-les-Bains. The thermal spa centre of Neyrac-les-Bains is also found at Meyras, and offers various thermal, beauty and spa treatments. 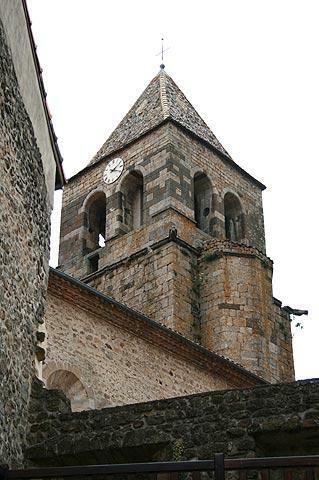 A visit to Meyras could be combined with a trip to nearby Jaujac and Thueyts, two more of the listed 'villages of character' in the Ardeche department.